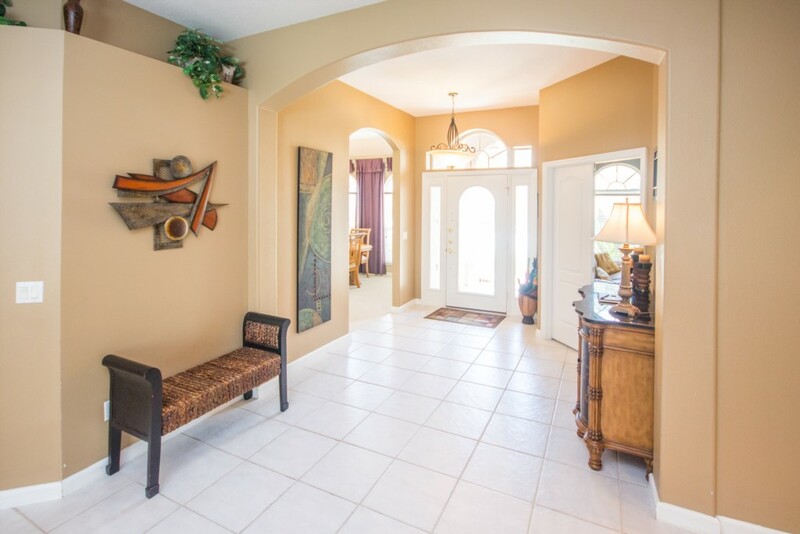 This is a really lovely 5 bedroom, 3 bathroom two-storey villa on Highlands Reserve for the descerning guest. 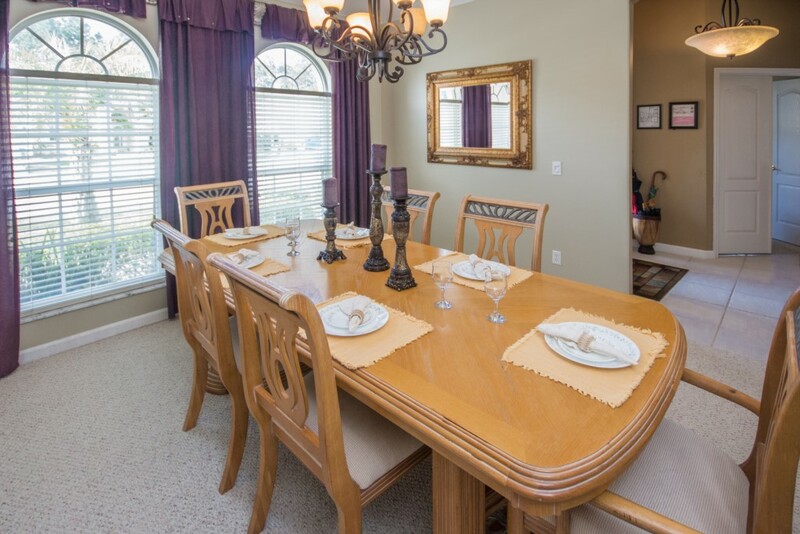 It has 2 living rooms, a den, a safe, 7 TV's, 2 DVD players, a 3-disc CD player, a very elegant formal dining room with seating for 6, fully equipped kitchen with desk and chair, breakfast nook with seating for 6 and 3 bar stools. 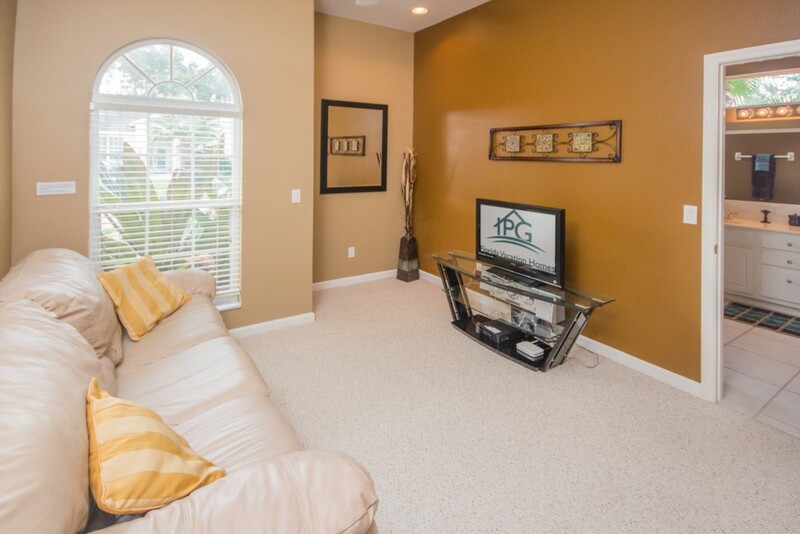 The den has a sleeper sofa, 31" TV and wireless internet in addition to the PS2. 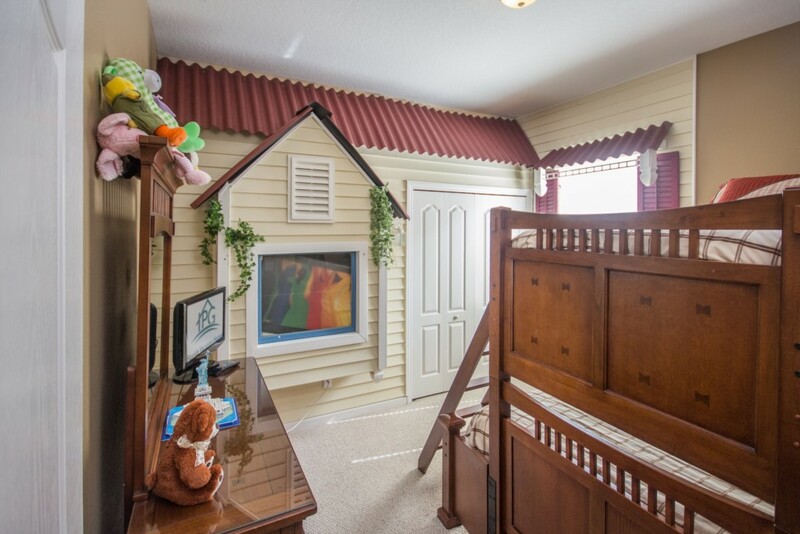 The family room has a 42" flat screen TV with a combined DVD and VCR player. 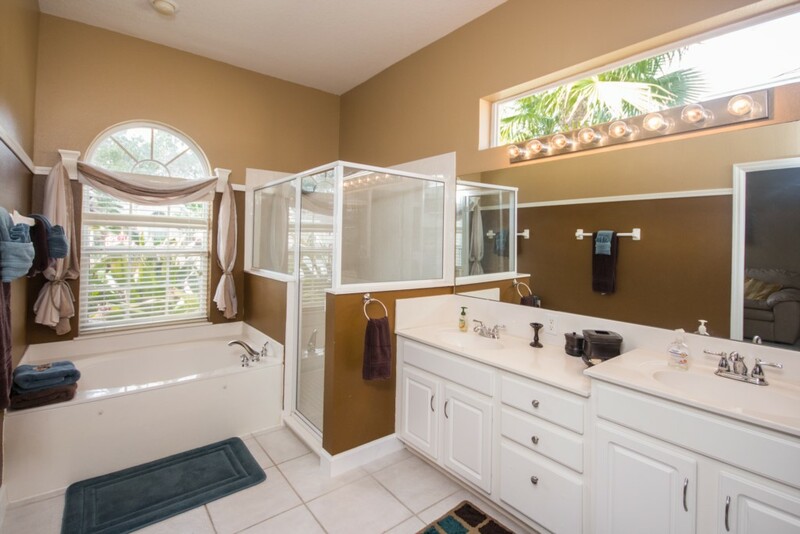 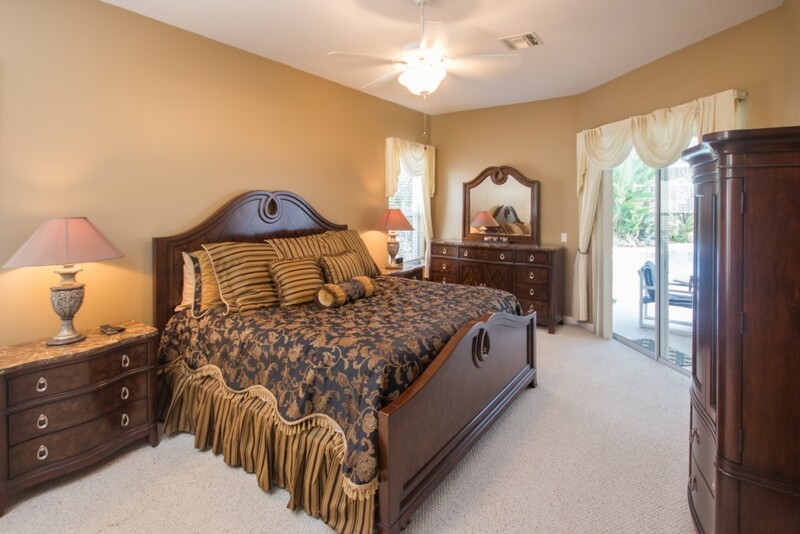 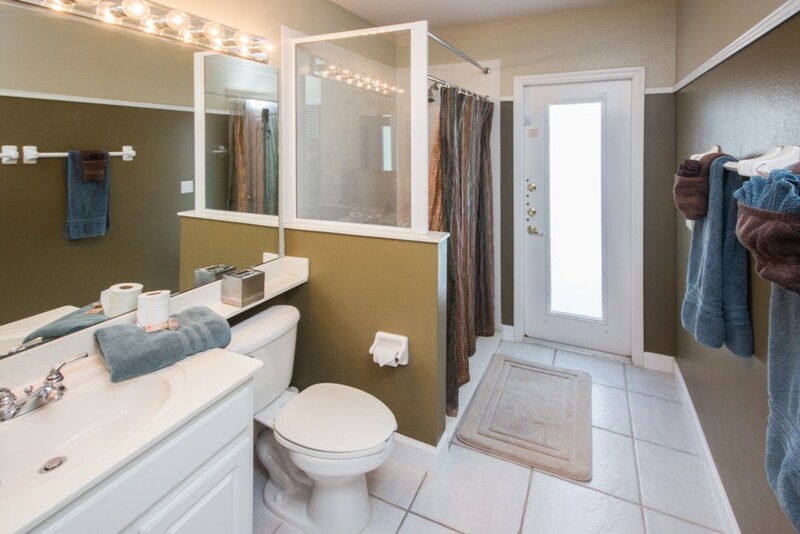 The home has custom colours on the walls, and ceiling fans and window treatments throughout. 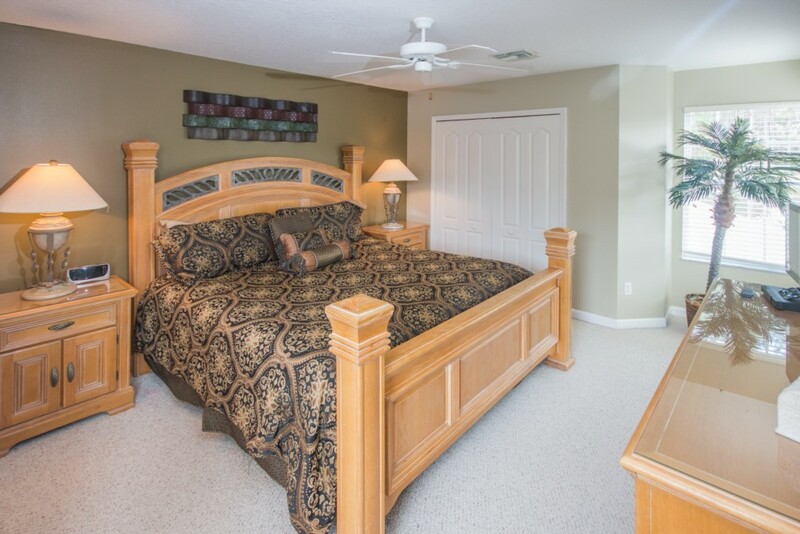 Of the 5 bedrooms, 4 are located downstairs and include a master bedroom with king bed and direct access to the pool deck, a walk-in-closet, an en-suite bathroom with jacuzzi bath, separate shower cubicle, his n' her vanities, a separate toilet room and tiled floor. 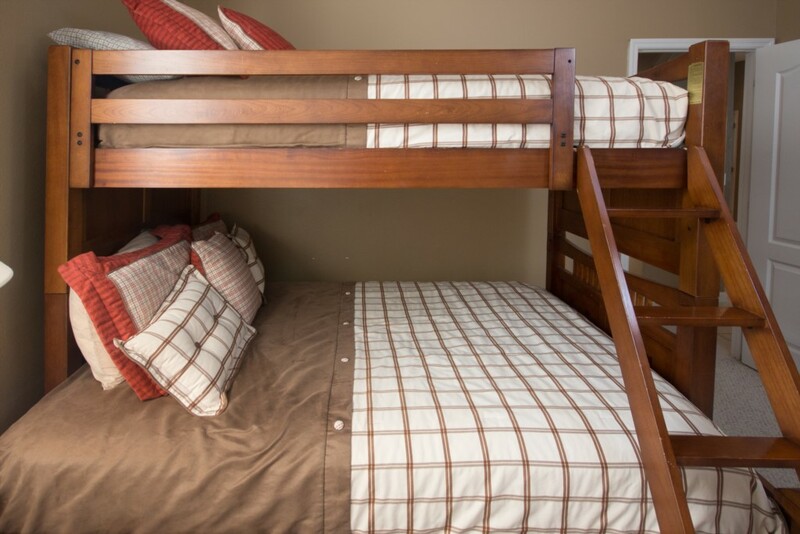 The other bedrooms downstairs consist of a queen bedroom with 14" TV with built-in DVD player, which could be used as a 2nd master by using the pool bathroom, another queen bedroom with 21"flat screen TV (wall-mounted) and a bunk bedroom with a combination of a full bed and a twin bed above with 14" TV. 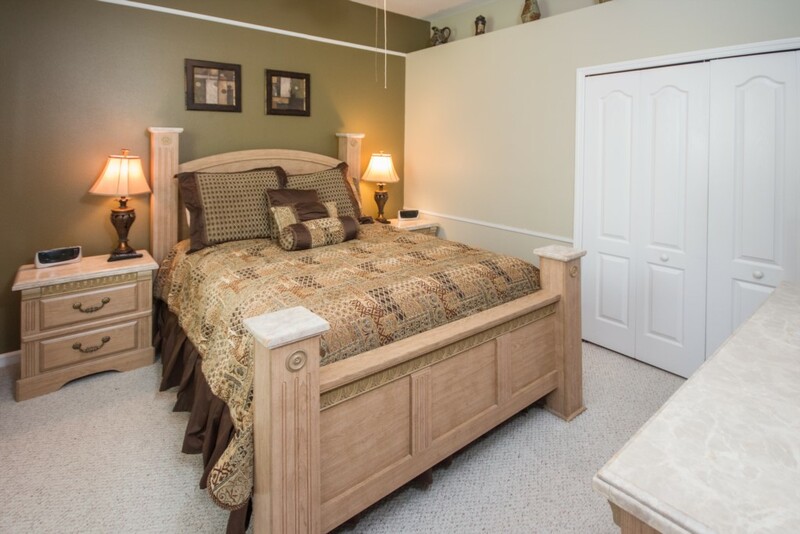 Upstairs you will find a second king bed with 27" TV and closet. 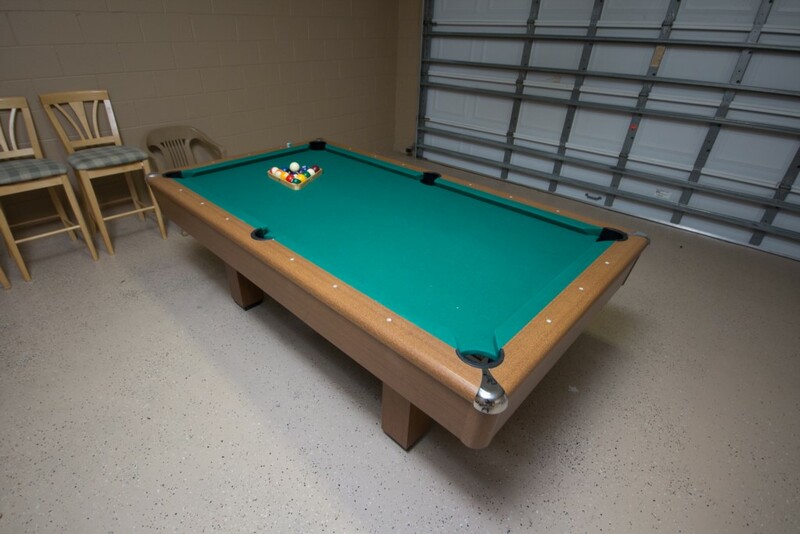 There is also a laundry room downstairs and a games room in the garage with painted floor and custom wall colours, 7ft pool table and wall-mounted cue stand. 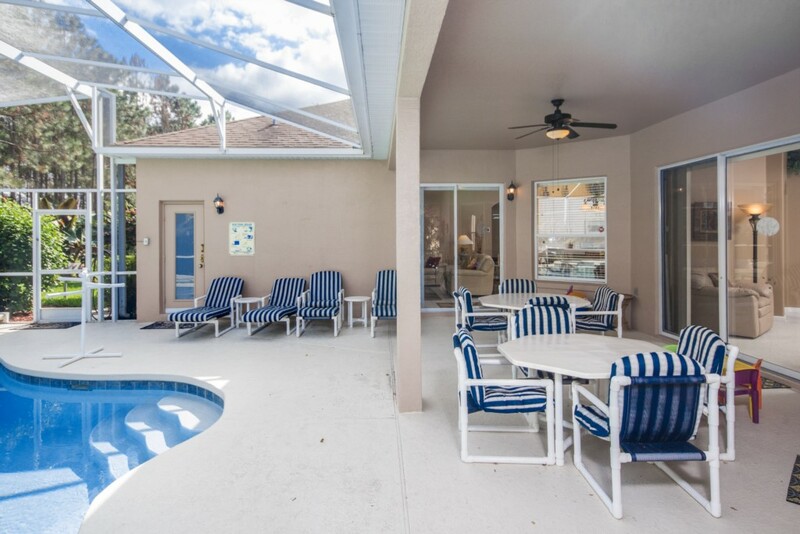 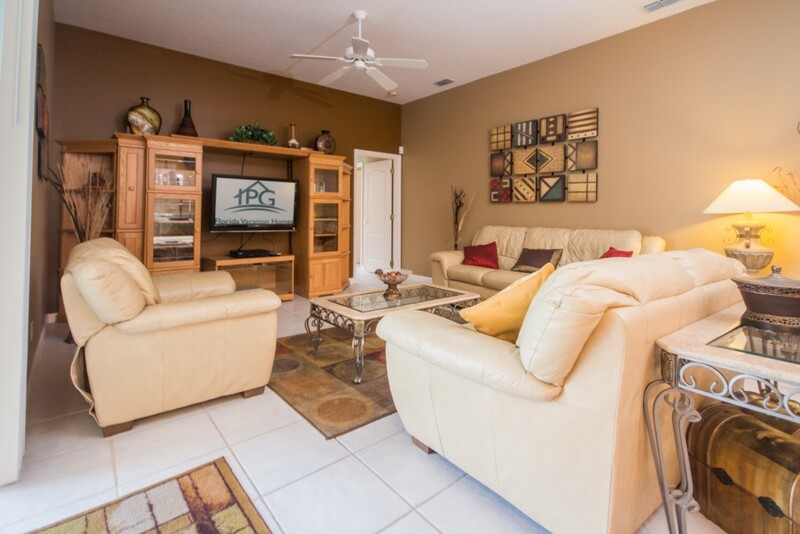 Outside on the spacious deck you will find a heatable electric pool with spa, pool blanket, covered lanai with ceiling fan and upgraded patio furniture consisting of 8 chairs, 2 loungers, 2 reclining chairs with foot stools and 2 tables. 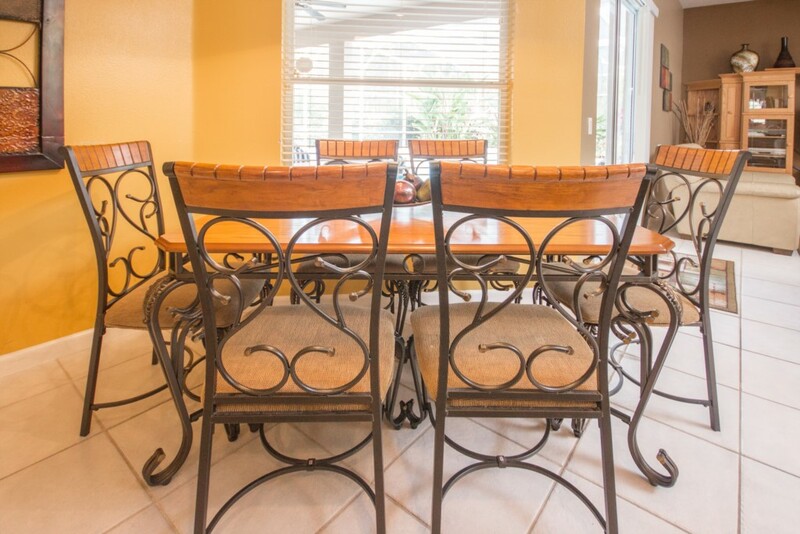 The deck is very private with hedges to each side and commands lovely views of the pine forest to the rear. 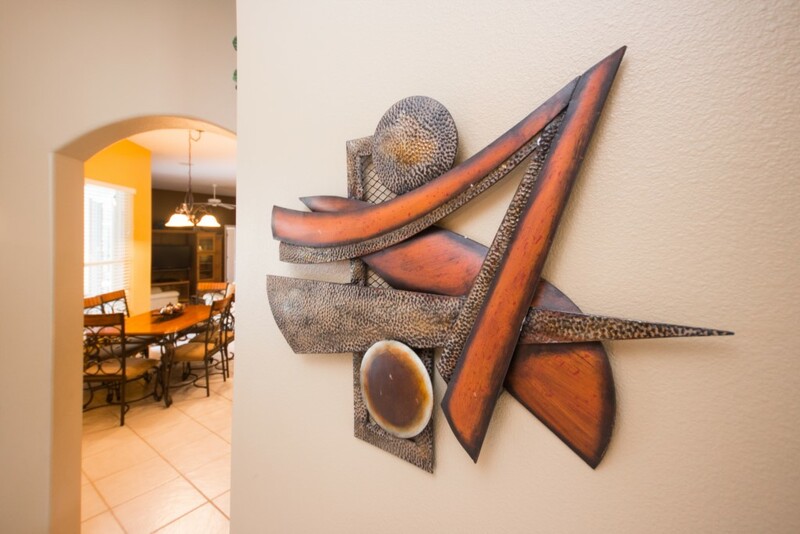 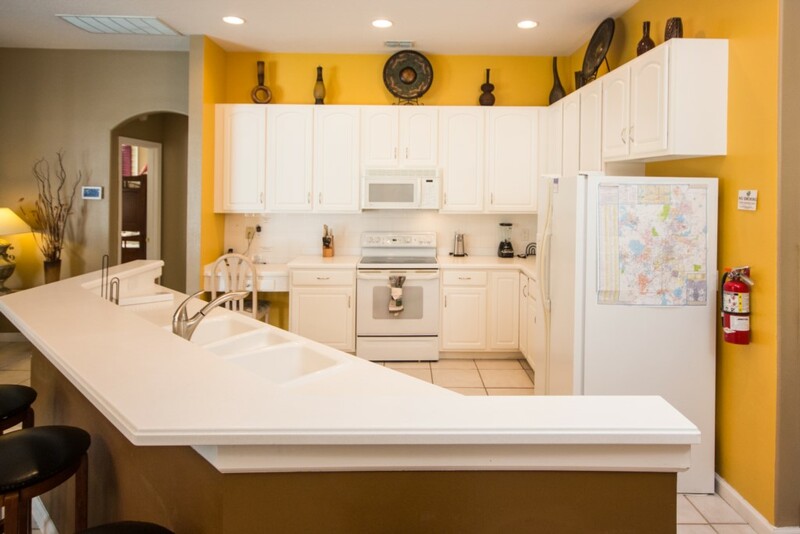 The Highlands Reserve community is an ideal choice for vacationers. 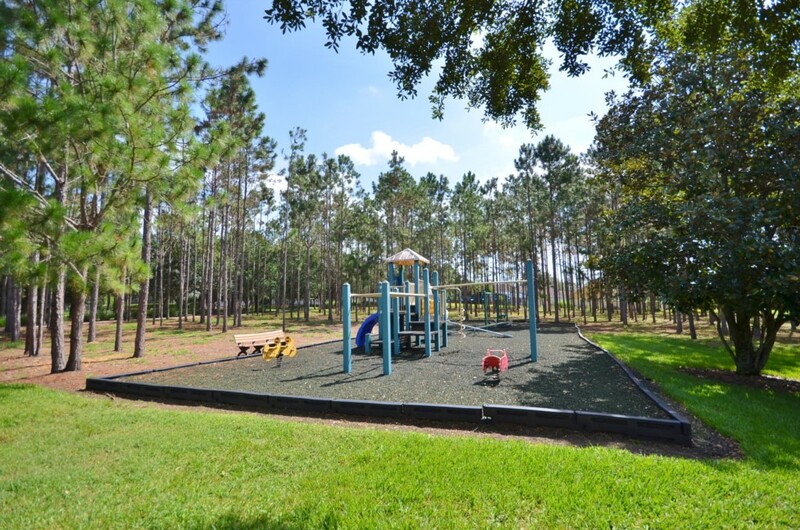 This prestigious community is situated on US Highway 27 ideally located just off Highway 192 for easy access to all the major attractions. 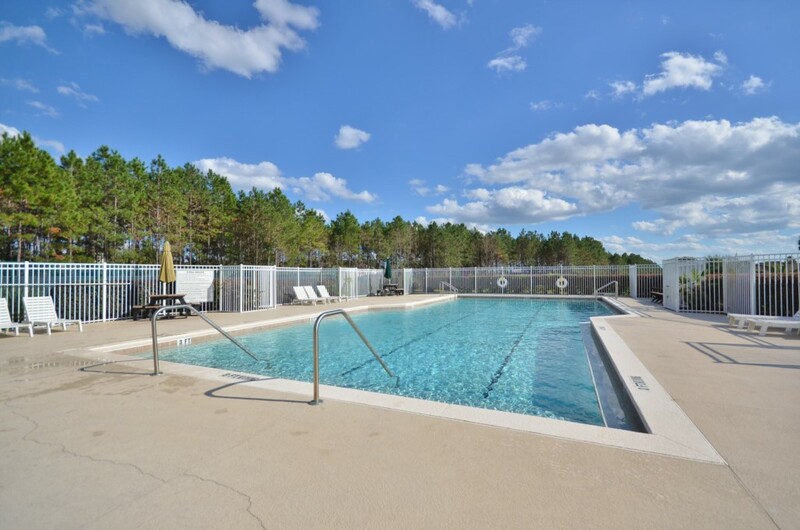 A Publix supermarket is conveniently found right next to Highlands Reserve and can even be reached without venturing onto Highway 27. 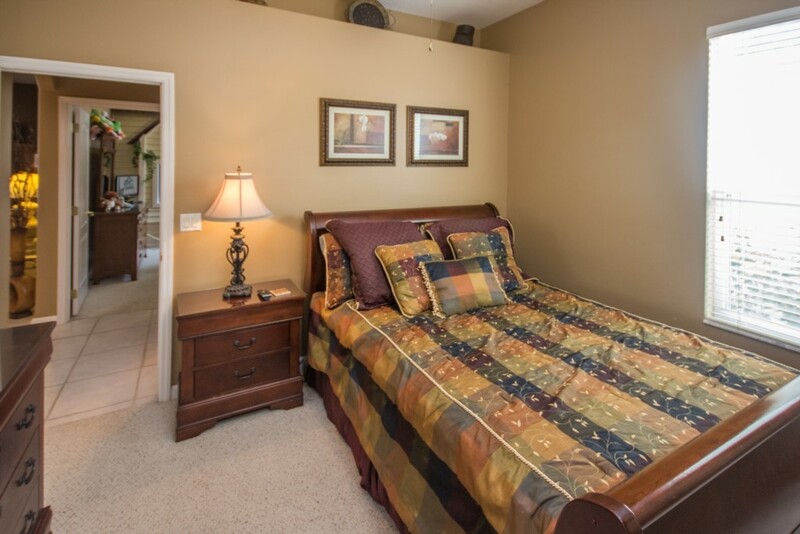 Highlands Reserve is a peaceful location set among beautiful pine trees and rolling countryside. 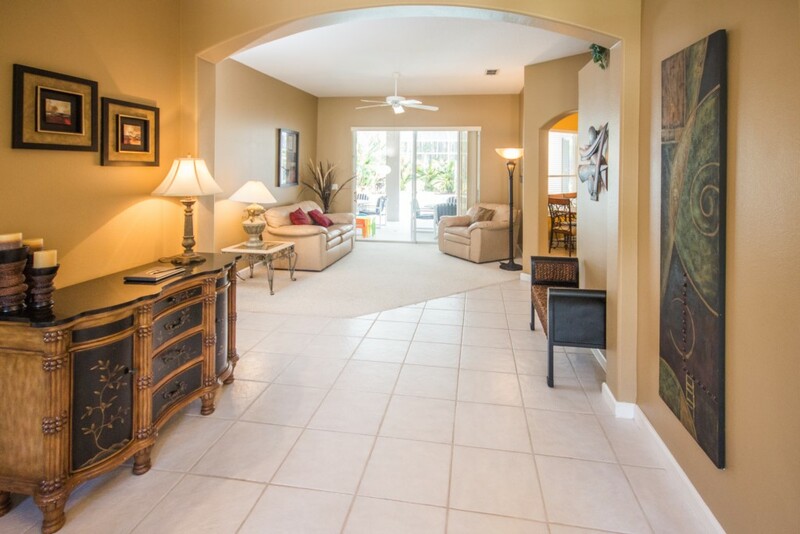 Many homes back on to an 18-hole golf course or have conservation views in this sought after community. 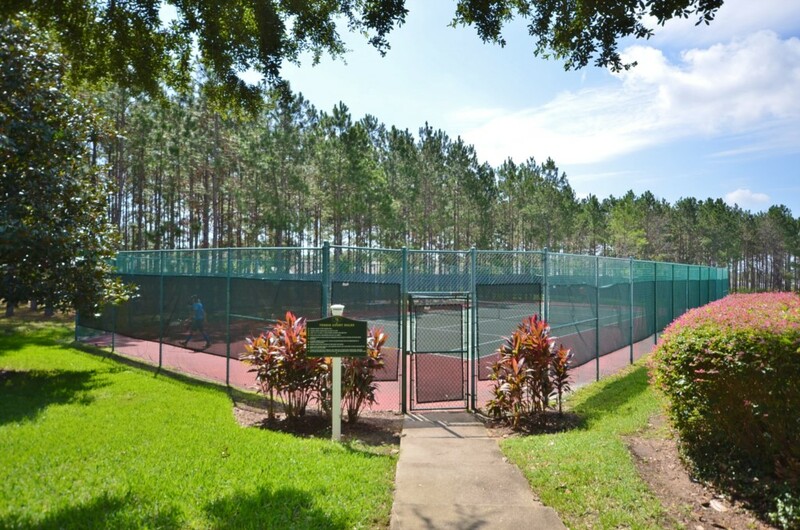 In addition to the obvious benefits of a superb championship golf course, the community also boasts its own clubhouse with restaurant, children’s playground, and a tennis court and community pool. 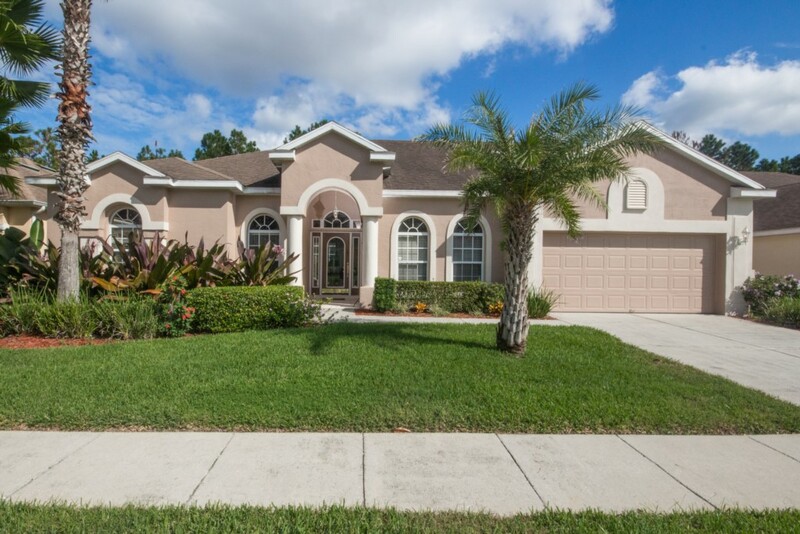 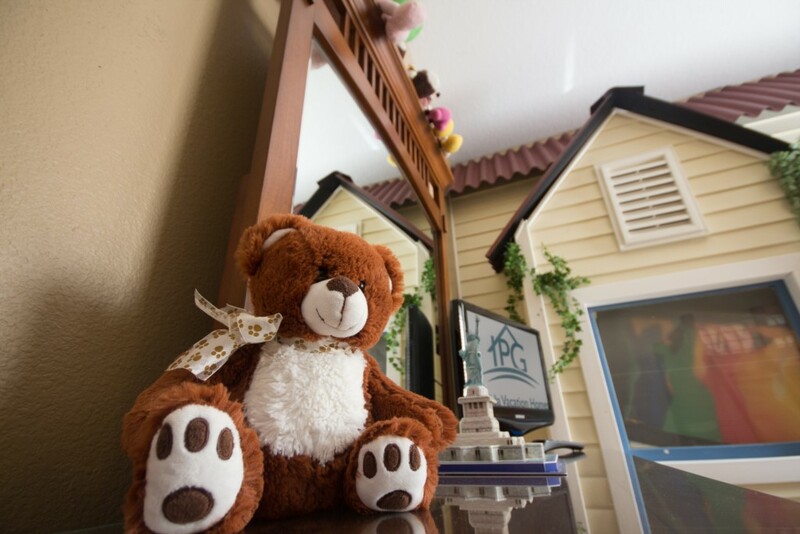 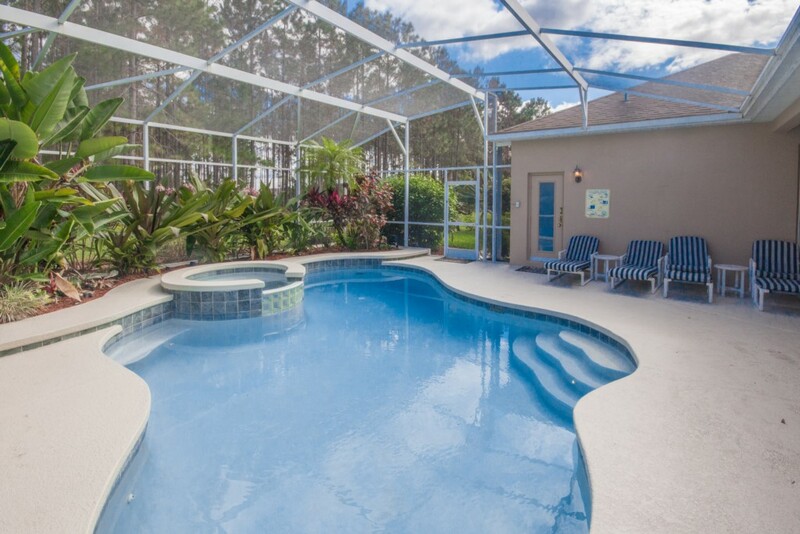 Interstate 4 is just minutes away providing quick access to the beaches near Tampa on the West Coast or the Space Coast beaches near Cocoa and Melbourne, and all the Central Florida attractions and Downtown Orlando as well.